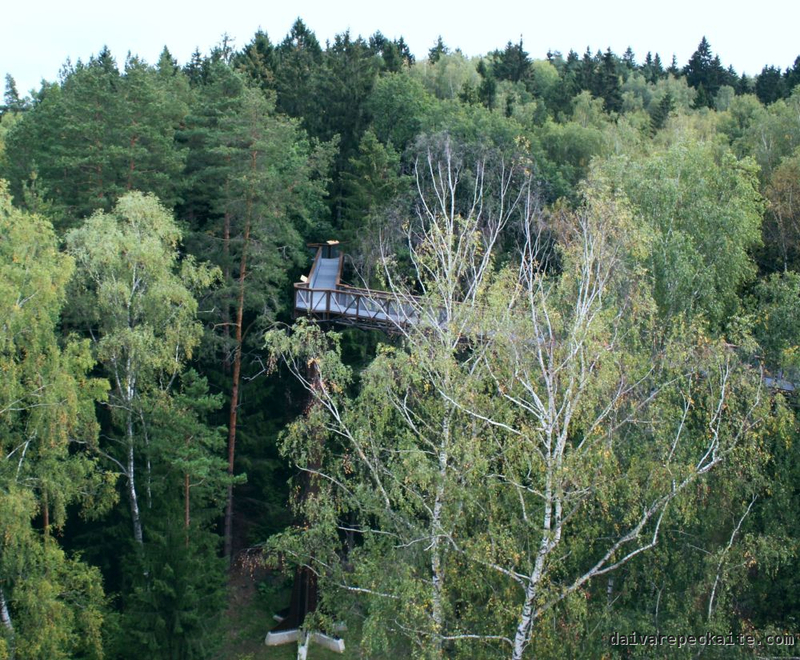 Half a year ago Anykščiai treetop walkway was one of the five finalists for the UNWTO Award for Innovation in Enterprises – a reward for innovative tourism projects. When it was opened in August last year, people were crowding to enter it, and even the president of the country took selfies on it. Fortunately, the forest is still there, and, just like the poem, it has a capacity to bring cultures closer together. I have read about efforts to market the walkway to East Asian tourists, and I am quite sure it will be successful. The path is unique in Eastern Europe. Similar objects exist in Germany and Austria. The expectation is that people should be interested in seeing treetops at any season, as they look very different. There is a variety of trees around the path, producing a diverse and beautiful landscape. The walkway ends with a watchtower, which is a bit higher than the path. I felt that the tower was the most interesting, because the path could have been higher up. The path could be more interesting if there was a chance to see wild animals and birds around, but surely enough they would run away from tourists, even if there were birdhouses installed. There is an elevator for people with disabilities or movement difficulties, but it can only be activated by calling a certain number and does not work in high temperatures. These are serious deficiencies, as the design goes against the principle of accessible tourism – people with disabilities must be able to access infrastructure as independently as possible. I am not convinced that such an expensive project could not invest more into a fully accessible design. I have also read reports about days when the elevator got stuck and did not operate at all. In the past people have also complained that it was not entirely clear that entrance is donation-based. The suggested donation is 1 euro, but I′ve read visitors complaining that staff make it look like the donation is compulsory. When we visited, the employee at the entrance explained everything clearly. However, an employee at the information office, at the bottom of the watchtower, was somewhat grumpy and tried to make fun of us not finding the entrance right away. I hope that service and infrastructure will be improved in the future. After all, it′s built using taxpayers′ money – EU funds were used to finance this ambitious project. 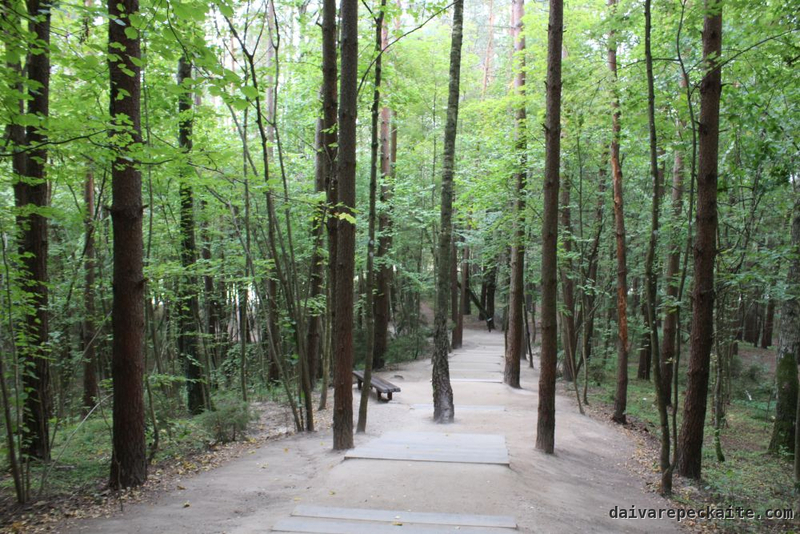 For those willing to spend more time in the area, there are hiking trails and several small cafes at the bottom, with vegetarian options available. Besides already being a famous sightseeing spot, the walkway will light up on the coming Saturday for an annual apple festival in Anykščiai. 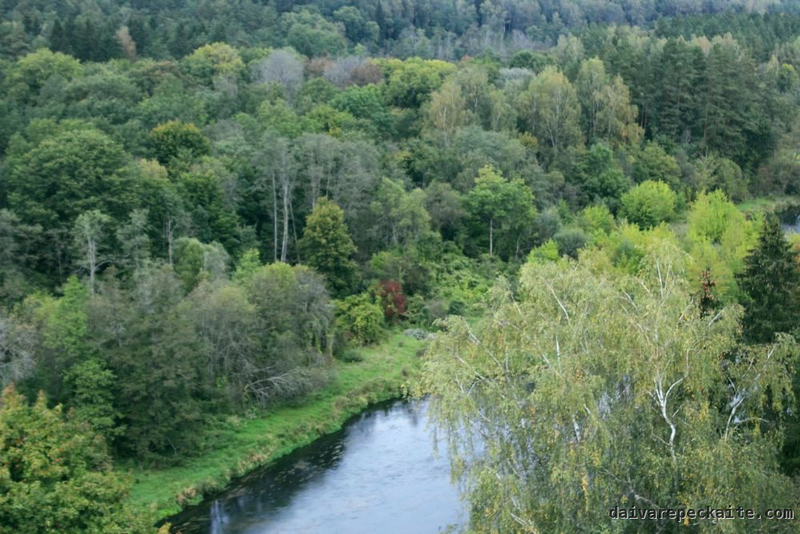 This entry was posted in Photography, Travel blog and tagged anykščiai, architecture, lithuania, nature, tourism, travel, treetop walkway on 2016-09-21 by Daiva.